23 | October | 2009 | Through the seasons before us.. I must admit I’m rapidly losing interest in 2018-World-Cup gate in Nottingham. A few weeks ago Councillor Kay Cutts of the County Council spread her odiousness around the local media, and attempted to unbalance the scheme the City Council, Rushcliffe Borough Council and Forest have been concocting. Of course, it was all about protecting green belt land and not at all to avoid any financial commitment from the recently Tory-fied county council. As if this brazen and childish political wrangling across the local media wasn’t bad enough, this week the latest rat to desert the rapidly sinking ship of Nottingham’s bid was Rushcliffe Borough Council (also a Tory authority). Basically, without getting into too many of the ins and outs, it’s a mess – and it’s a mess that’s being played out in the national media whilst Leicester and Derby wait in the wings probably to lay claim to a World Cup hosting spot. Taking all biasedness out of the equation they have less stadium-based infrastructure issues, and don’t appear to have councils comprising of a bunch of school children engaged in a pathetic bout of petty point-scoring from one another. Mark Arthur’s been on a charm offensive to say that the plans are still very much marching ahead – but surely this stream of damaging media coverage is affecting our chances. And all this without me even opining on what I may think of the proposed move – given the lack of information about a confirmed site, the design of the new ground and all the other multitude of variables that would be a factor, I don’t think that we can – as mere fans – possibly have an informed view. That’s where I leave the matter, to be honest – as things stand I want to stay where we are, but that’s because I know so little about the alternative. Clough and Taylor's rehearsal at Derby is to be commemorated in statue form..
On a completely unrelated note, Derby have been on a further distract-everyone-from-matters-on-the-pitch charm offensive, but quite a nice one I think. 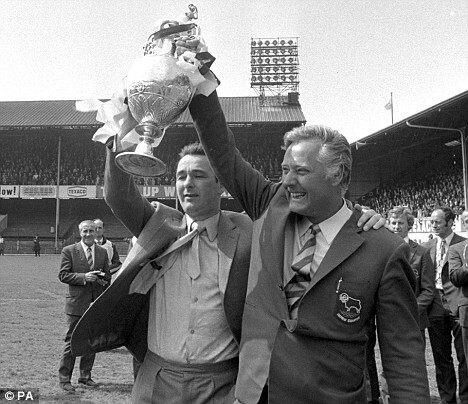 They have officially announced plans to have a statue of Brian Clough and Peter Taylor that will be placed at Pride Park in the future. A nice gesture, and well, my views on Forest’s stance on the subject of Peter Taylor are well-documented already. Good on you Derby. Ooh, that felt weird, I’m off to wash my hands now, but seriously – whilst I realise many of you find it discomforting I will be keeping an eye on proceedings down the A52 on this. 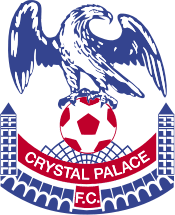 Crystal Palace vs. Forest preview..
Forest travel to South London safe in the knowledge that the ‘flag-gate’ nonsense has now been dealt with by our ponderous authorities. Both Forest and Derby have been fined (part of which is suspended) a nominal amount, and Tyson has been fined £5k and given a suspended two-match ban. Perhaps a small hillock made out of a molehill more than anything, but at least it’s sorted. Forest of course are the form team at the moment – Guy Moussi’s injury time strike gave us a much craved fifth league win in a row against similarly in-form Barnsley, so confidence will be high travelling to Selhurst Park. Although that win came at a cost – with injuries to key man Dexter Blackstock, doubts over Tyson and a suspension for the Moose whose over-excitement at scoring lead to his second booking of the match. Our hosts Crystal Palace have had a mixed bag of form lately – two wins, two draws and a defeat in their last five league outings – they’re certainly unlikely to to pushovers. They’re unbeaten in three at home – but then again, we’re unbeaten away full stop so far this season – certainly I don’t think the Eagles will be relishing the timing of our visit, however they will be keen to be the team to end our impressive run. Particularly with the wily Neil Warnock in charge. Palace have a few injury niggles – exciting youngster Victor Moses picked up an injury in their recent game with Cardiff, missing their midweek match with Leicester. Ambrose and former-Red Stern John are also on the road to recovery from injury – both having made appearances from the bench in recent games. Given Stern has a few years under his belt since his time at Forest, I can’t say he fills me with dread – so there’s a jinx for your if ever you heard one! The mighty Reds will of course be missing Guy Moussi who is suspended for a match, Dexter will be missing – and how we will miss him – due to the knee injury collected against Barnsley. Tyson may be a doubt – not because of his wallet-injury – but he also picked up an ankle injury against the Tykes. So a reshuffle for Billy is pretty much forced. I would perhaps expect Majewski to come in for Moussi, and perhaps Billy sticking with McGoldrick in perhaps a more advanced role than midweek – supporting Adebola up front. Whilst Earnie is making progress I think this game will come to soon. If Tyson is unavailable then Cohen may push forward with Lynch apparently available after a nasty bout of food poisoning. Looking forward to the trip, and as I’m spending the weekend with some pals in the capital a match report may be later than usual – I will try to utilise my mobile internet capabilities to put something online, but no promises! I might manage to wangle my way onto a proper PC – but otherwise I’m sure you won’t mind waiting ’til Sunday for a match report! Whilst I think about it, don’t forget to enter my competition to win a signed copy of Dave Armitage’s excellent book ‘150 BC: Cloughie the Inside Stories.‘ It’s free to enter, so you’ve nothing to lose! Thanks to those of you who’ve already entered – I will get around to acknowledging the entries by email when I have a chance. You have until next Wednesday before entries close.